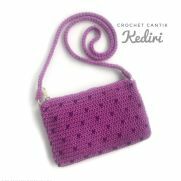 I am a crocheter and crochet instructor from Kediri, East of Java, Indonesia. I've been crocheting since I was 9 years old. I joined the crochet business and started selling my crocheted bags in 2014. 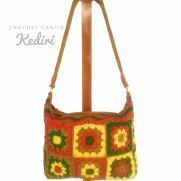 I make and sell crochet bags and purses. 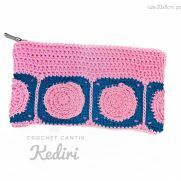 I also provide crochet tips, free tutorials for beginner crocheters. I can read diagram pattern and written pattern quite well so I enjoy trying out pattern I come across on the internet (what a wonderful experience). I love seeing other fellow crocheters' creations too. Hello……regarding your question on the Grinch Hat. I had to tweek the eyes by increasing and decreasing a crocheted circle. Ended up making them into a tear drop shape. The nose is just black magic circle increased to 12-18 sc and stuffed a bit. I hand stitched the mouth on. Mostly followed a picture to get it right. 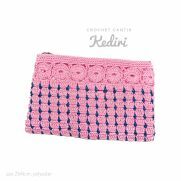 Hi Farida, I love your bags and I’m happy to connect with you. Can I please the V-stitch bag pattern? Hi Dedi, I’ve sent you an message on it.